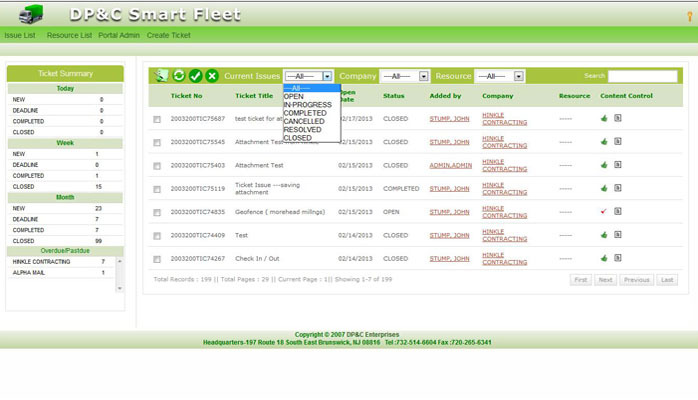 DP&C® SmartFleet is a comprehensive transportation, logistics, and distribution management application designed specifically to increase efficiency of fleet management, enhance the visibility of mobile inventory and asset management,manage critical payroll, billing and accounting functions and the importance of enhanced customer service as a competitive advantage. It has the ability to seamlessly integrate GPS sources and all EDI formats to provide a comprehensive end-to-end application for the network users. 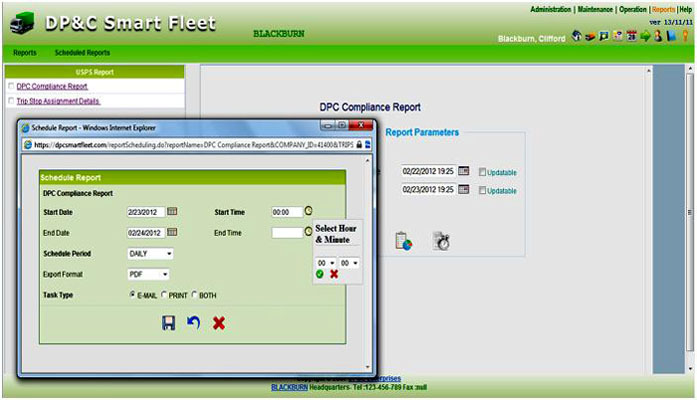 DP&C® SmartFleet is a customizable and scalable application, providing a solution that generates immediate and sustainable return on investment. 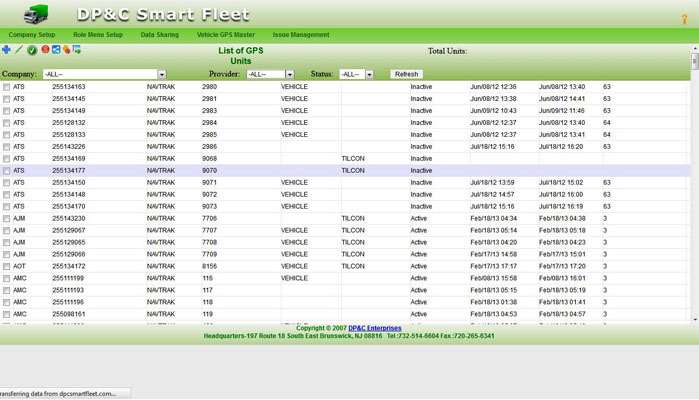 The seamless, real time visibility provided by DPC®SmartFleet can enhance profit performance, customer service and fleet optimization. • Static Trip assignment, Trip Stop generation, Auto trip releasing, Auto trip scheduling, Auto Check in/out, Auto Trip Termination. • Order Entry, Order release, dispatching, integration to general ledger and accounting system, Auto paver and Crew assignment. 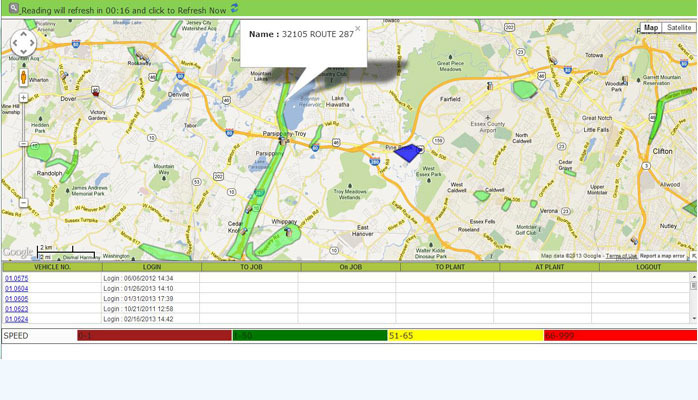 • Auto Dispatch Status and Route optimization based on stop points. 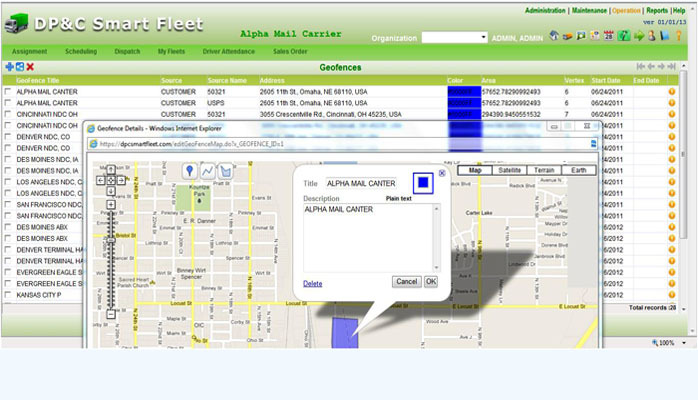 • Centralized dispatching and tracking capability. • Manage Organizational Hierarchy for Resources and assignment. • Build routes based on requirements such as fixed or flexible consolidation points, multi-stops, and operating schedules such as customer operative hours. 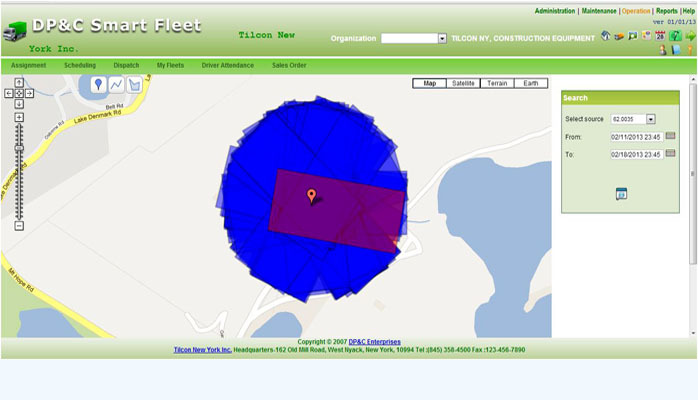 • Geofence management and Dynamic fence generation. • Transparent mobile inventory management to ensure that expandable inventories used in client, servicing a client location are accurately tracked for restocking and more timely replenishment. • Powerful Report generation and report scheduling. • Measurement of overall business effectiveness to support more timely and informed business decisions. 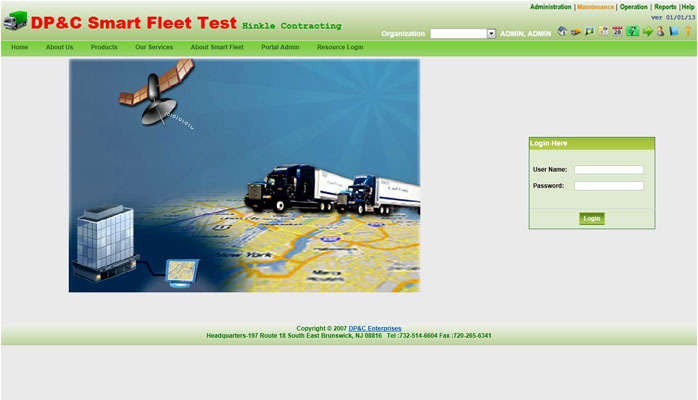 • Real time fleet activities and route selection on Google map. • SaaS and secure hosted Application. • No IT Staff or Infrastructure Necessary. • Secure and Redundant Services. • 24/7 Uptime and Support. • Ability to Phase Implementation. • Low Monthly Fee is Based on Assets (avoids capital outlay). • User-Friendly with Online Instructions and Help Desk. • Standard & Custom Reporting. • Start-up and Training Services. 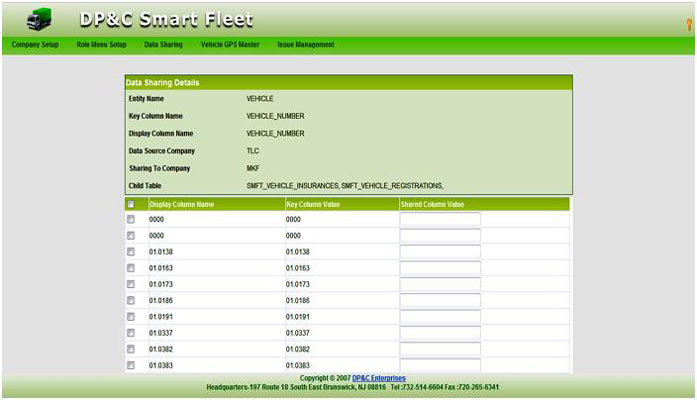 DP&C® SmartFleet quantitative and qualitative benefits include: reduced operating expense, enhanced customer service and a scalable system to meet competitive challenges and budget. 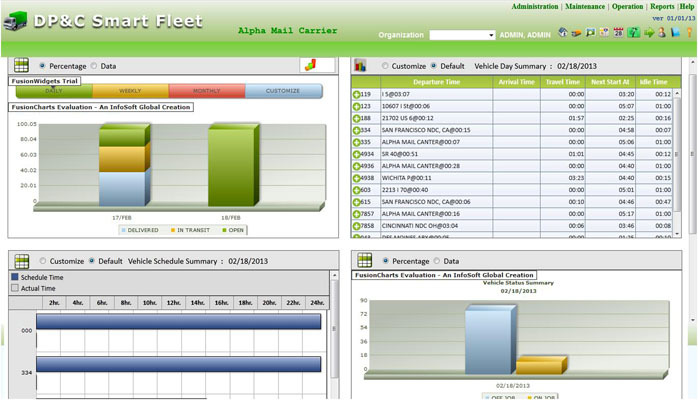 • Reduction in Transportation Expense: Cost Impact Via increased fleet and vendor management information visibility. • Reduction in Administrative Expense: via systemic integration between customer service, operations and administrative functions. • Reduction in Lease, Capital or Purchased Services. 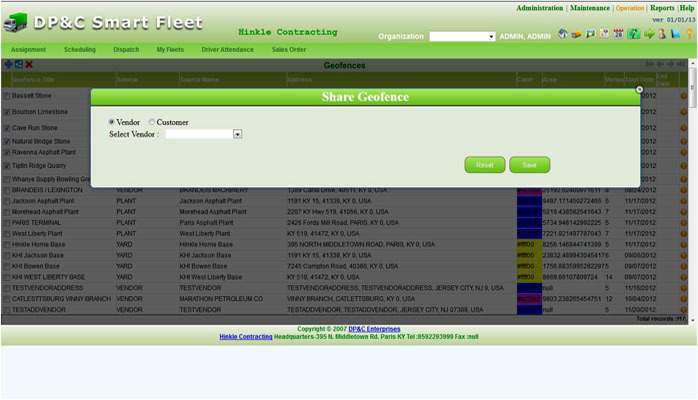 • Expenses: Provide visibility and reporting of assets and services used. • Reduction in Risk Management Expenses: Mitigate insurance cost via improved safety and security. • Strategic Redeployment of Resources: Ability to focus more than day-to-day via automated processes. • Efficient utilization of scale: Efficiently grow the asset base by real-time measure of operations. • Mitigation of redundant Processes: Reduce the amount of manual intervention to streamline processes. • Competitive Advantage : Provides an operating and information base from which key operating decisions can be made. • Customer Satisfaction : Increase customer satisfaction via the availability of real time, accurate information. • Market Leadership: Drive operating performance by connecting critical functions within the operation and provides a base and linkage to continued growth. 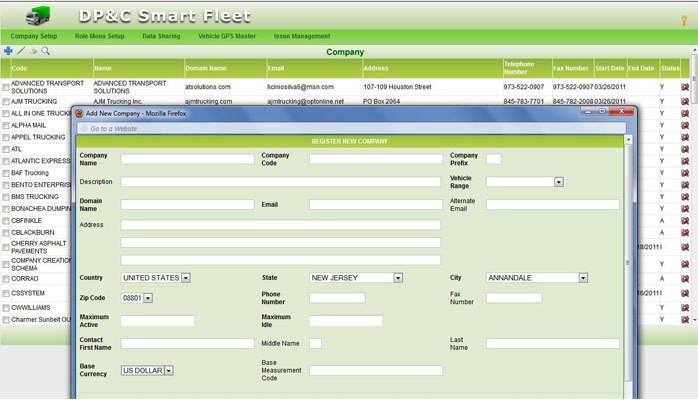 DP&C® SmartFleet can be integrated with existing company accounting and inventory software, and can either becentrally hosted for the client, or implemented as a local application. Seamless connectivity and customization ensure maximal operational effectiveness, enhanced operation and overall management, and increased customer service. Enter valid username and password to access the portal. 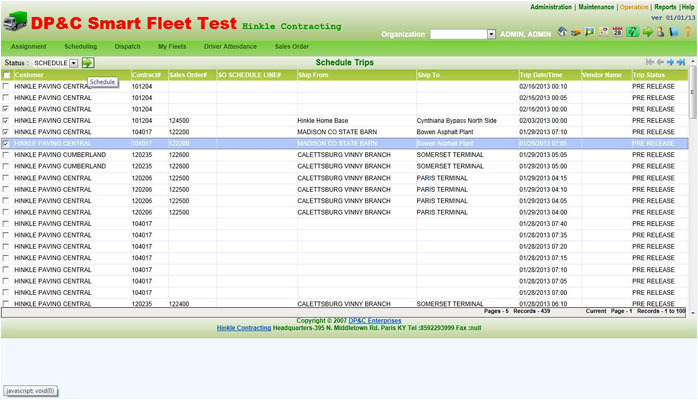 Dashboard provides graphical summary and detailed information about vehicle check In/Out ,Vehicle schedules, vehicle last statuses summary. 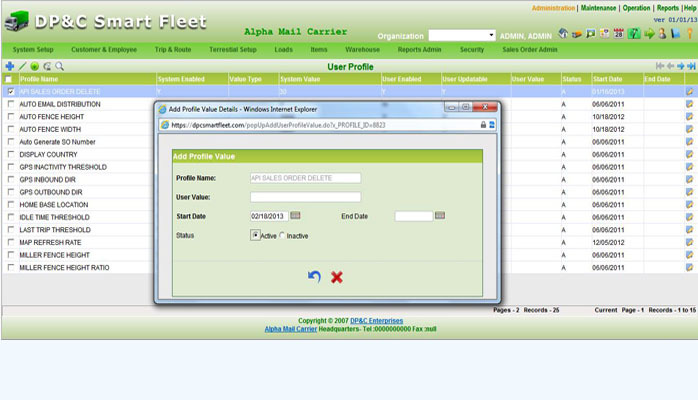 Company and user profile values allows user to view data based on his preferences. This screen shows customer details along with detailed information about customer like address details-geofence created, contact details, route details etc. 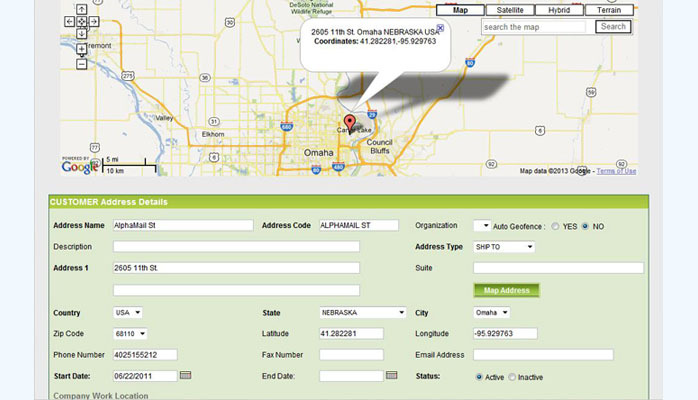 Address Details screen shows detailed address information about addresses of Customer, Employee, Contract etc. 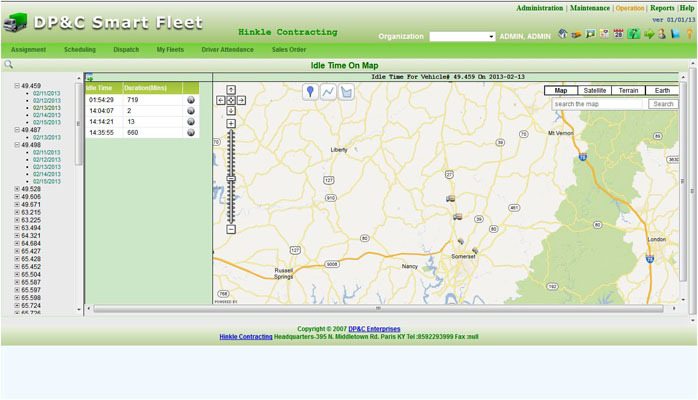 Show My fleet is used to show current position/location of vehicle on map. 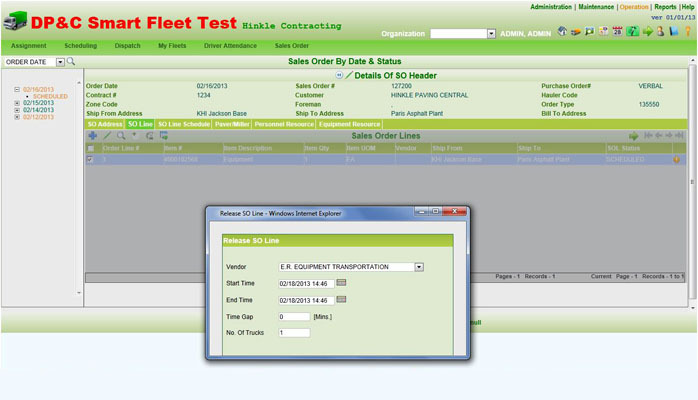 It also provides information about GPS Unit associated, Driver, speed, Order picked up etc. 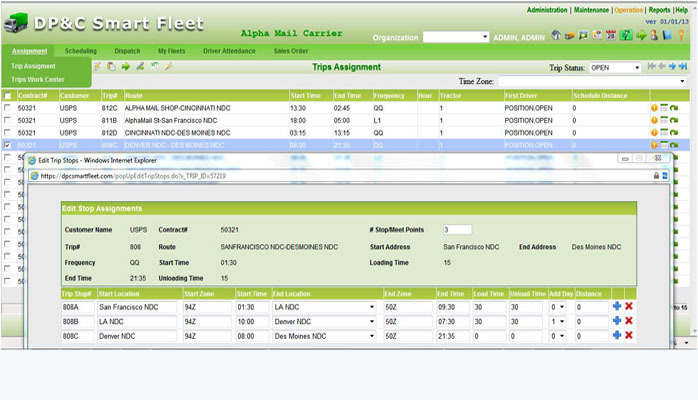 Fleet Details provides vehicle activity through a time range, route , GPS Unit associated, Driver driving, speed at specific points. 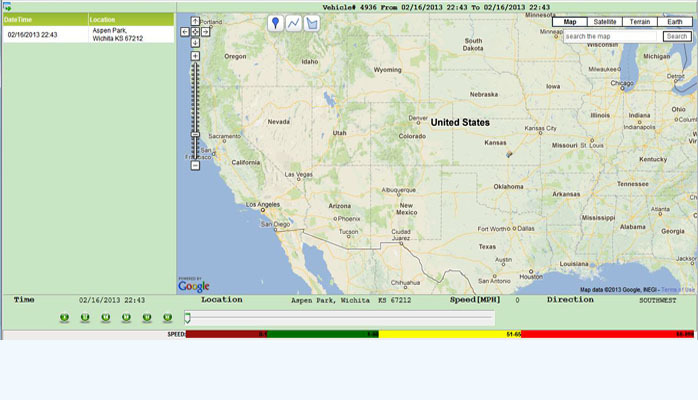 Entire Day data of Vehicle with detailed information of each reading along with idle time elapsed . 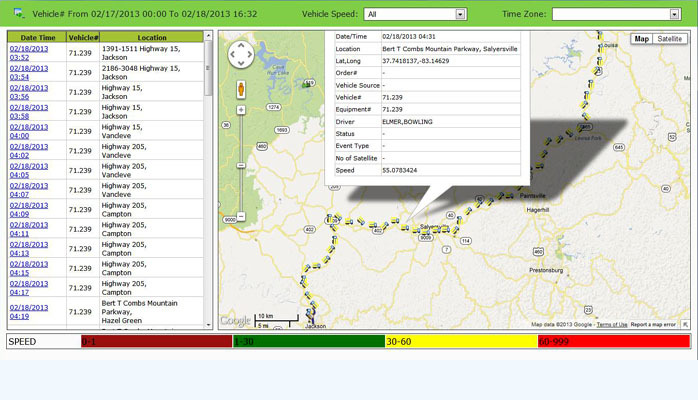 It provide details about the vehicle stopage during trip and provide the details about time vehicle spent on the stopage. As the Paver or miller(Movable Equipments) associated moves the fence moves along with. Idle Time Screen shows the different Idle time slots of a vehicle the trip along with Date time and location details. Geofence screen shows all the Geofences created with address and Geofence type/shape, source, also used to view and Edit any particle Geofence. Trip and Trip Stop Assignment to define a Trip then to divide a trip into multiple trips called trip stops, User can add edit multiple trip stops for a trip. 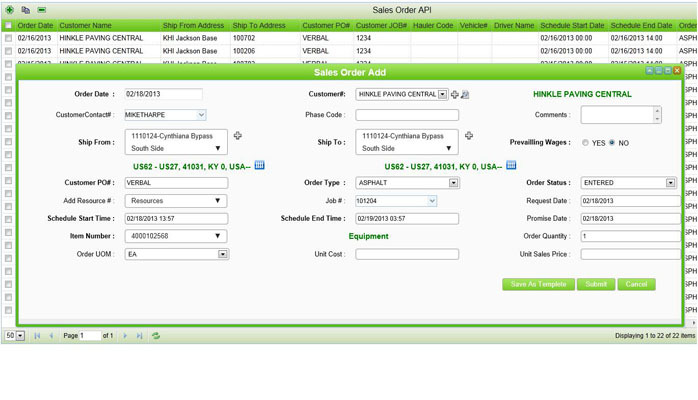 Sales Order API to insert order into system which can move to different levels automatically based on creation status and order type. 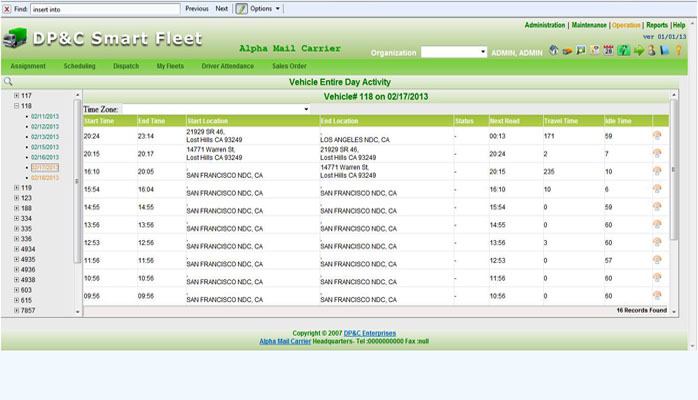 Advance work center provides Quick details of all the trips along with Customer, Order #, Route Details,Trip start / end time , Vehicle associated, start/end Location, Driver and trip status together, Allows to assign or change driver and Vehicle to a Trip. 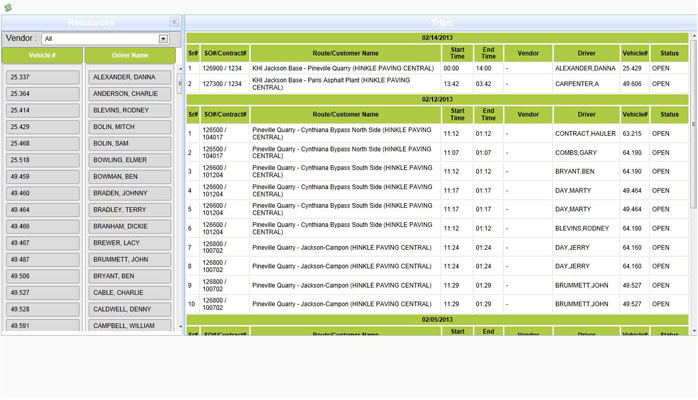 Sales Order Work Bench provides Quick view to all the Order separated with Order date and Order Status. User can view, release and Schedule trips. Schedule Trips allow to Schedule multiple trips together and displays all the Trips which are in Pre- Release status with Trip Detail. 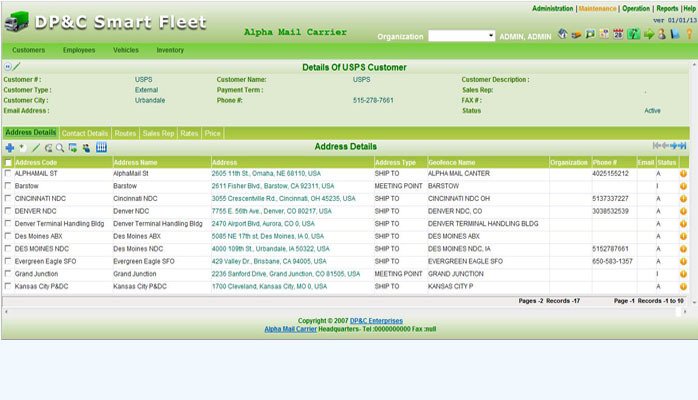 Multi-functional, trip status, trip termination screen, used to view Trip detail, generate USPS Compliance data manually/automatically, send notifications to contact persons. Single Geofence can be shared among multiple companies and users , used to terminate trips. 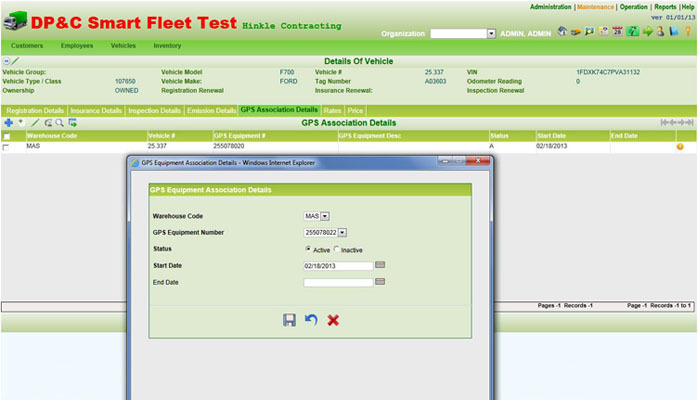 Allows to associate a GPS Unit to a Vehicle and vice versa. 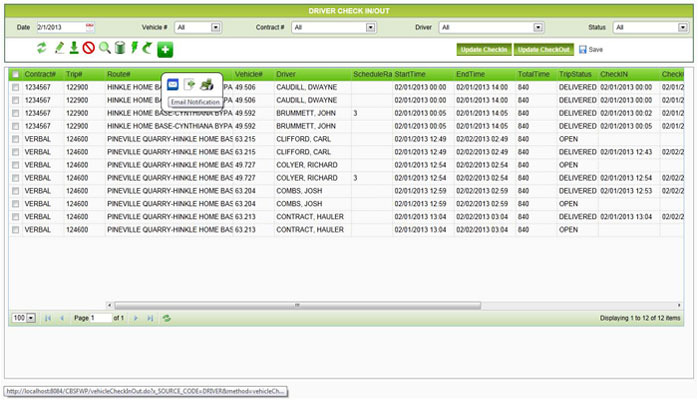 Quick Access to Company Portal allows to create and maintain company level information in one shot. Issue Tracking system common to all clients, used to handle and process Issues generated by different User, along with the status of Issue, Resource working on and related completion dates. List all the GPS Units of the System categorized based on companies, allows activate , deactivate GPS Units among multiple Users. Resource sharing among multiple Users, associated with a common Key attribute and used in multiple users. Inbuilt reporting tool to generate reports and schedule reports based on some selection criteria, reports then executed automatically and delivered to customer. 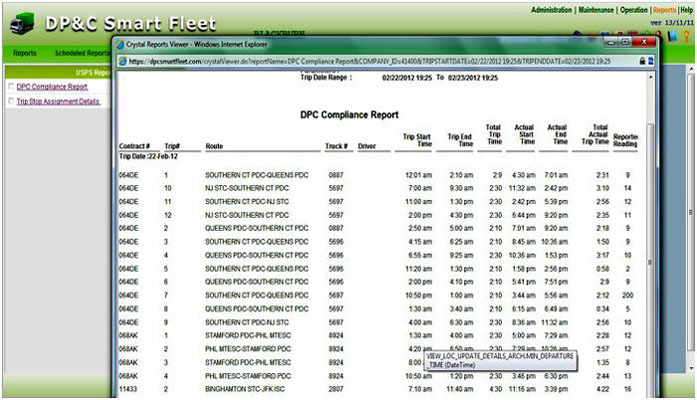 DPC Compliance report Scheduled on daily basis show data used by a company for compliance.